Welcome to the apocalypse! Assemble your hero squad and cross post-apocalyptic terrains to destroy invaders in this fast-paced action game to take back the planet! Use giant Guardian monsters on the offensive to defeat aliens, zombies, and other mutants and defend your town! Increase your action squad’s strength to rule over rival survivors in PvP Raids, Night Ops missions, and more! ● Blast and attack wild aliens, zapping airbots, giant tanks, flame-throwing carnivorous plants, and other fierce enemies to survive! ● Not your typical clash RPG or tower defense game! Strategically assemble your motley crew of heroes and build the perfect action squad to conquer each unique battle! ● Collect diverse heroes like a zombie that hurls exploding brains, grenade-wielding football player, bazooka strapped soldier, toxic gas dropping mad scientist, and many more ready for war! ● Unleash unique powers in battle like stun grenades, helix rockets, shield protections and more. ● Power up and level up your heroes to unlock new skills and do more epic damage! ● Bring a giant fire-breathing lizard, killer robot, or an unstoppable mutant hamster with laser beams that shoot out of its eyes to battle! ● Defend your town from invaders with giant guardian monsters! ● Defend your town with laser blasting machines, powerful buildings like the Clown House that spawns killer clowns, and many more defensive structures! ● Night Ops – Sneak your heroes into enemies’ towns without getting caught for great rewards! 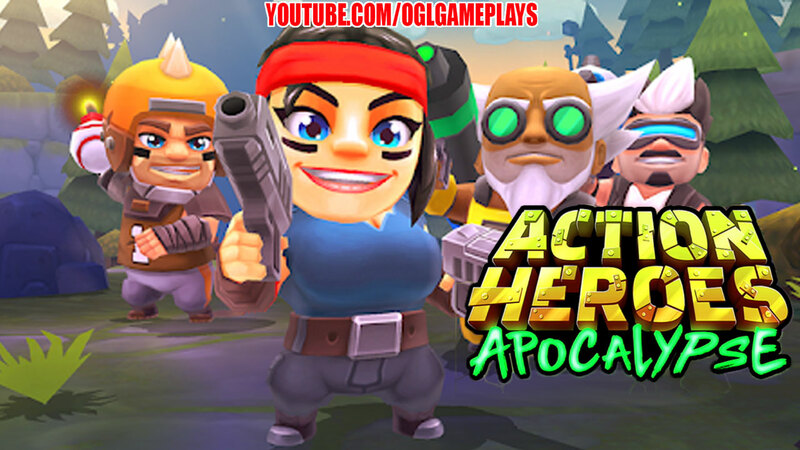 Related Tags: Action Heroes: Apocalypse android, Action Heroes: Apocalypse apk, Action Heroes: Apocalypse game, Action Heroes: Apocalypse gameplay, Action Heroes: Apocalypse gameplay walkthrough, Action Heroes: Apocalypse ios, Action Heroes: Apocalypse mobile.